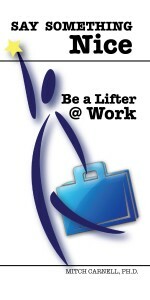 Say Something Nice – Be a Lifter @ Work! New! 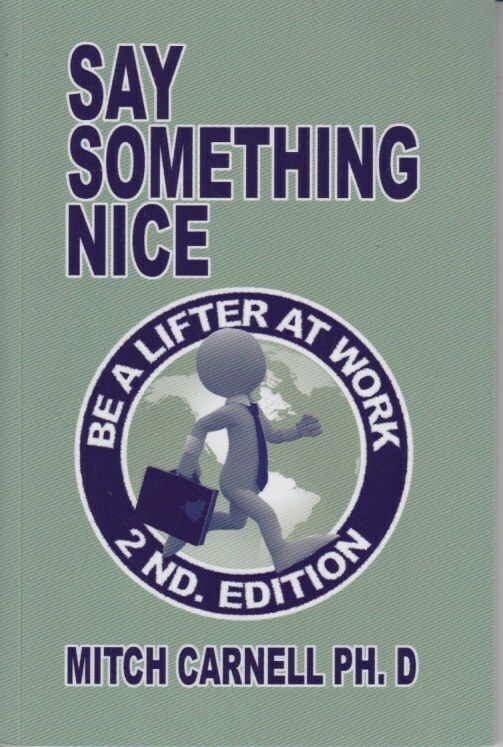 You can now get the Kindle eBook of Say Something Nice: Be a Lifter @ Work! from Amazon.com. 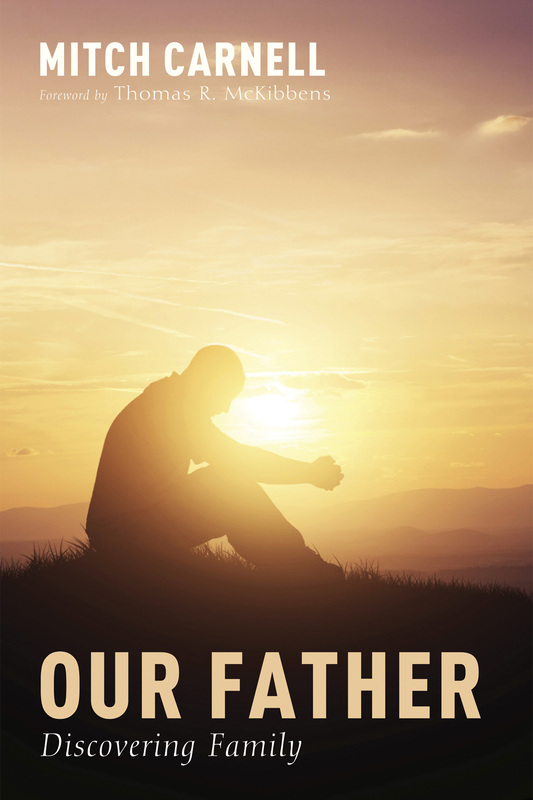 The booklets are $5 each for copies up to 10 and available at discounts after that for larger quantities. Also available are lapel buttons to reinforce the message – “Say Something Nice” – and – “Be a Lifter.” The books or buttons can be ordered by emailing me at Mitch@MichaeCarnell.com. Say Something Nice – Be a Lifter! New! You can now get the Kindle eBook of Say Something Nice: Be a Lifter! from Amazon.com.